The Union Public Service Commission or UPSC will release the official notification for the UPSC NDA NA exam 2018 on 10th January. The candidates can check the notification on the official website at upsc.gov.in. 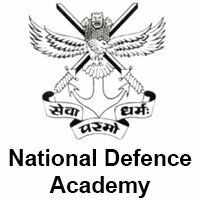 The UPSA NDA exam is exclusively for the selection for the Indian Army, Navy and Air force wings under the National Defence Academy. Now on the homepage, click on the link 'NDA and NA Examinations (I) 2018 Official Notification'. The candidates can take a print out of the notification for the future use. On the notification, there are information on the important dates, eligibility, application procedure and different other details on the notification. As per the previously published UPSC exam calendar for 2018, the last date for submitting the application is 5th February 2018. The exam is scheduled on 22nd April. Last year, the registration started on 18th January. About UPSC: The Union Public Service Commission is an autonomous body of Government of India to recruit staff in various posts in different ministries and departments of government and subordinate offices.